Are you a dog lover AND a crafty type person? Are you dreaming about how you could combine both of your passions? I know I was so I started this page, looking high and low for those special crafts that I could create for myself, for friends, and even for my dogs. This page is a bit of this and that. Perhaps it hodge-podge of ideas from a wide array of craft ideas. I'm hoping you'll find something that suits your fancy. Feel free to add your ideas at the bottom of the page. Have you created a masterpiece for your dog? Perhaps dreamt of the perfect gift for your dog loving friend? Or, maybe, just maybe, you made something just for you that exemplifies your love affair with your small dog. Jump to Share Your Ideas Now. Maybe you don't think of yourself as crafty but still want to express your passion for your dog. Adult coloring may be just the thing for you. All it takes is paper and a few colored pencils. This is a relaxing craft for anyone who would love to produce a masterpiece but isn't sure of his or her skill. No worries, with this craft anyone can be an artist. 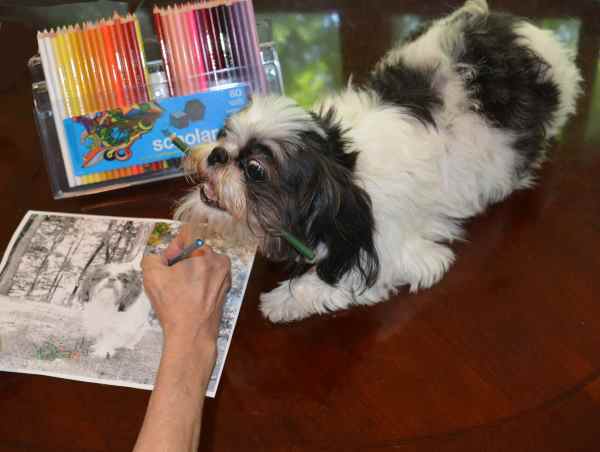 Combine your love of dogs with your coloring passion and create something worthy of framing. Here's how to get started. 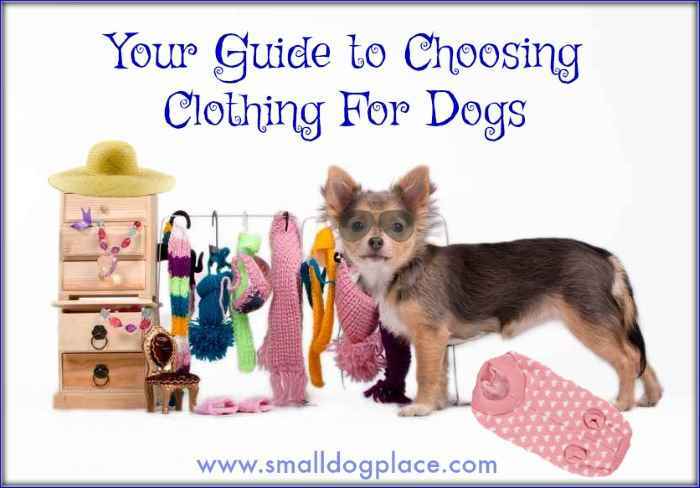 Many small dog lovers want to dress their dogs, whether for a special occasion or just for every-day. Some need clothing such as the hairless breeds but others just look better with a cute dress or coat. Sure, you can go out to your favorite big box store, but wouldn't be fun to create your very own clothes, both the sewn variety as well as those that require no sewing. Here's some ideas to get your creative juices flowing. 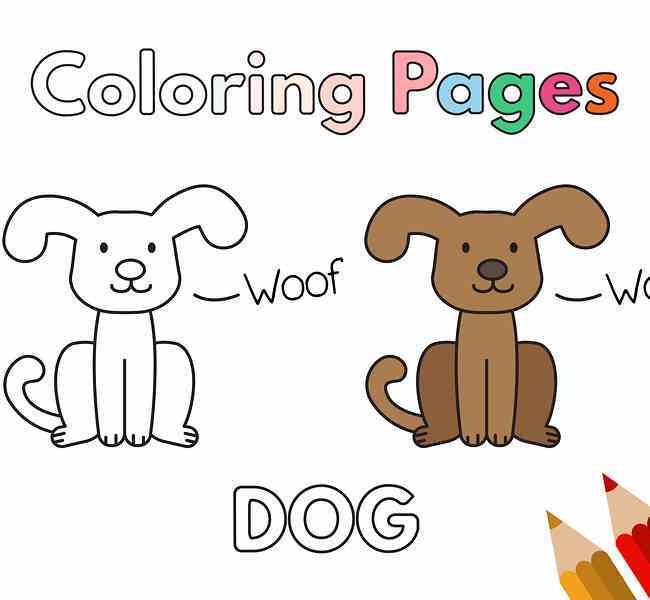 We've slowly been accumulating some cute puppy and dog coloring pages that are free to download and color for children of all ages. Maybe your child or grandchild loves dogs and would like to take a peek at our breed pages, or maybe you are a teacher and would like to provide a resource for your students to download pages to color based on breeds. Start here to find the picture that you'd like to turn into your next masterpiece worthy of framing.